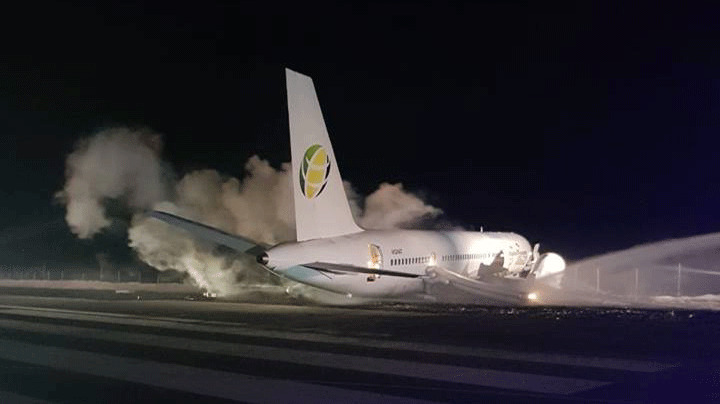 A Fly Jamaica flight that was bound for Toronto crash-landed in Guyana after experiencing technical problems less than 20 minutes after takeoff. In a statement, the airline said flight OJ256 left the Cheddi Jagan International Airport in Georgetown at around 2 a.m. local time and reported a hydraulic failure a short time later. 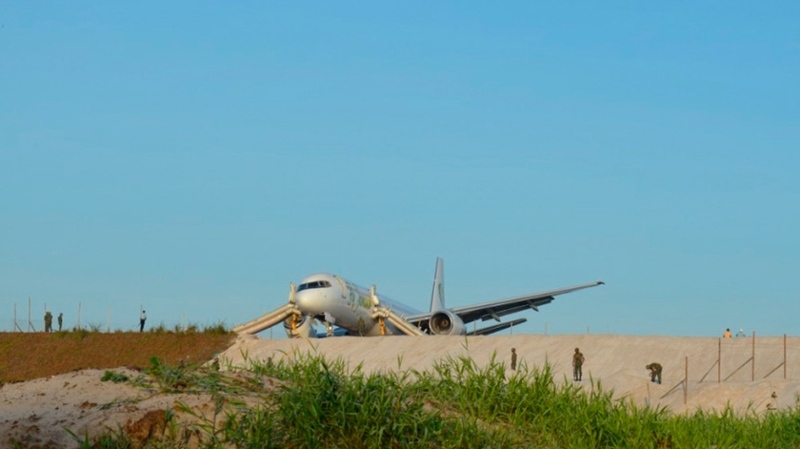 The plane was carrying a total of 128 passengers when it overran the end of the runway and made a crash landing. Global Affairs Canada confirmed that 82 Canadians were on board, but none were injured. “We wish a swift recovery to those who are injured,” a statement reads. St. Lucia News is reporting that six people were injured in the accident, but that they were all stable and being treated at a Georgetown-area hospital. 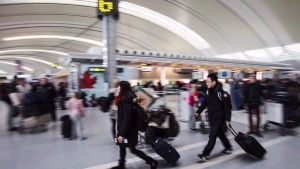 One Toronto woman who spoke to CP24 said that her mother was among those on board the aircraft. She said that her mother told her that the plane was in the air for less than an hour when it “suddenly” turned around and headed back to the airport. She said that after the plane landed the occupants had to disembark using an emergency slide. 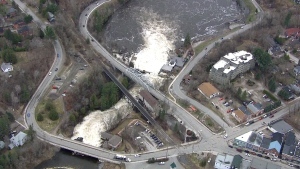 The woman’s mother was taken to hospital but is expected to be fine. “She is in the hospital. She is complaining of her back and head hurting her and her blood pressure is really high. But she said everything is OK and she is OK,” Rabina Reopnarine said. Another passenger on the plane, Pickering resident Invor Bedessee, said the aircraft was dealing with issues even before the scheduled takeoff. Bedessee said one of the plane’s doors would not close properly, delaying the flight for 45 minutes while crews made repairs. Once they were cleared for takeoff and in the air, Bedessee said he soon noticed they were circling above the Atlantic Ocean. The captain eventually came on the loudspeaker and explained the technical issues and informed passengers they would return to the airport. He said flight attendants instructed passengers to keep their heads down and secure themselves in anticipation of a harsh landing. “The landing was comfortable,” he said. Bedessee said the aircraft “overshot the runway” and sent them “sliding” into spiked rumble strips on the ground. Bedessee said if the plane skidded any further, they would’ve toppled over the edge of a hill. Bedessee was in Guyana for a golf trip. He said he’s shaken, but is otherwise OK. In a news conference, the airline said the investigation into what exactly took place is ongoing.